It’s good to walk into a newsagent and see your photo on the cover of a magazine. 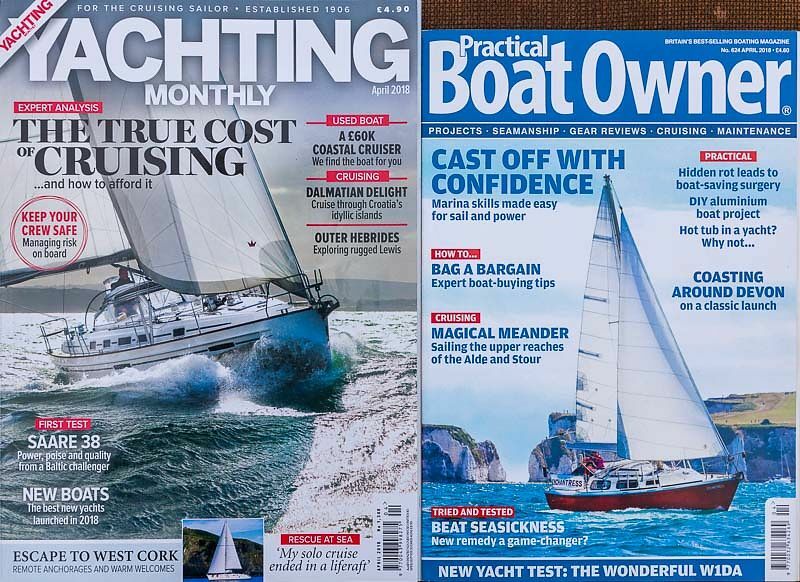 In fact Sailing Scenes has been responsible for the April covers of both Practical Boat Owner and Yachting Monthly. YM doesn’t say what the boat is or attribute the photo to us, but it relates to our eight-page test of the Saare 38 that’s inside. We tested the boat and took the photos the day before Storm Brian arrived in October. It was already gusting over 30 knots when we were out there (nearly gale force 8, if you think in those terms) and, as the photo shows, the boat was under full canvas. It was a lively sail – and an equally lively photo session. PBO’s cover depicts a rather more gentle scene: it’s of a Jaguar 25 we photographed on a sunny summer’s day (remember what those are?). We also wrote the test inside – not of the cover boat, but of an innovative, super-light, high-tech trailable 31-footer built in the west of Ireland. Yachts & Yachting is another magazine to have found a home for our photography this month, in the form of a shot of a Merlin Rocket that we took a few years ago on a wild and windy day in Poole Bay during a Silver Tiller event. 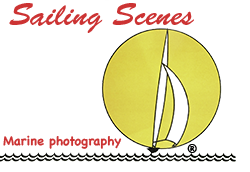 It’s on the opening spread of a feature about sailing in waves.